"The hardest thing about being in the deaf community is getting over wall one. Everything I do is going to affect them in terms of perception. Everything they do is going to affect me. What I’m doing now, getting the opportunity to play for the Seattle Seahawks and getting the chance to play in the Super Bowl, that’s basically saying that when people are hard of hearing now, you can do it too." 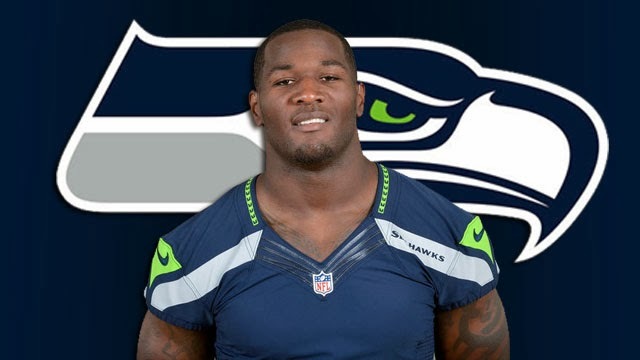 Derrick Coleman, a Seattle Seahawks Fullback knows the pressure that comes with winning a football game very well. He's been playing the game for years. I doubt that many of his peers understand the added pressure brought on by him having been deaf since the age of 3. Coleman has used his Super Bowl platform to share his story, and to share that struggle. Not knowing if he'd actually come out a Super Bowl champion, he still wanted to encourage other hearing impaired individuals. With the help of Duracell, Derrick shot this brief commercial telling his story from his point of view. It puts his journey into perspective in just a matter of minutes. Derrick says he was told no many times, but he never listened.. a bit of a joke, but such a powerful statement. He refused to let his struggle with hearing hold him back. He is an advocate for the hearing impaired off of the field, but he has to advocate for himself on the field. If he (QB) ever breaks the huddle and I didn’t understand a play, I’m not embarrassed, I’m not shy to go up to him and say, ‘Hey, I didn’t hear it,’ or just grab him right quick and ask him again. This go get it attitude is what propelled Derrick to try out for his Jr. High school football team, and it is what lands him somewhere, tonight a Super Bowl Champion! His story has touched and inspired all sorts of people, not just the hearing impaired. I love stuff like this. Watch his Duracell commercial below! seriously this is inspiring. I want my cousin to read this, she is deaf.